From one dark cherry beauty, comes another to her waiting public, the cameras flash and the red carpet awaits. 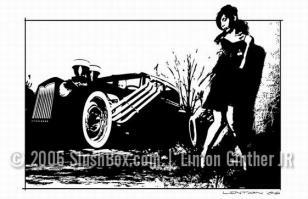 Archive Quality 12 x 24 Giclee. Limited to 200 units, signed and numbered.